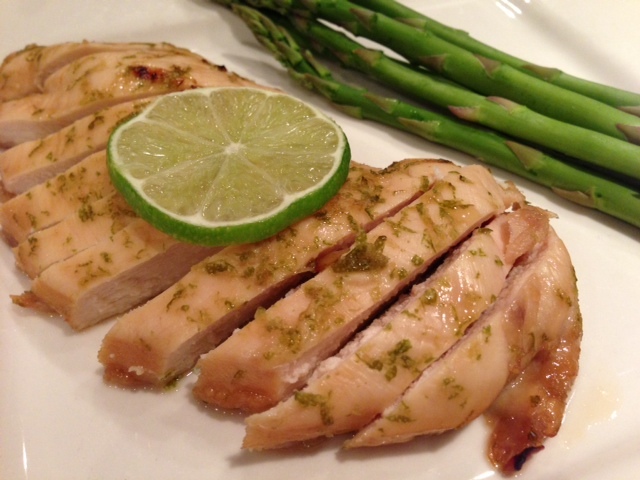 clean the chicken breasts of any nerves and fat. rinse the chicken breast under running water. Pat dry the chicken breast with a paper towel. 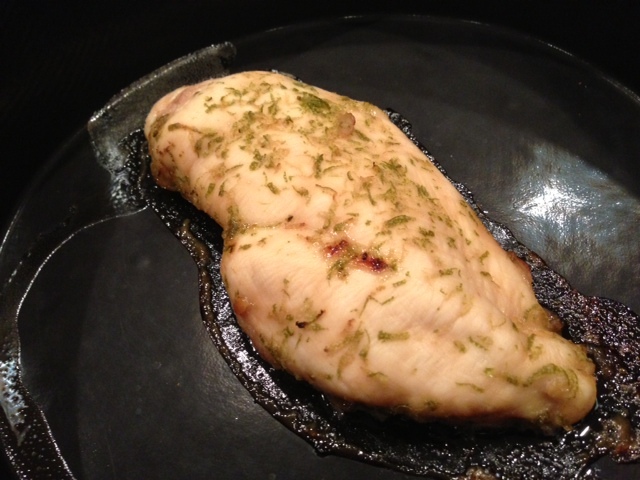 place a chicken breast on the small roulpat and fold the roulpat on top of it. with a rolling-pin, beat the chicken to flatten the chicken breast and even it out. Place the chicken in a ziploc bac. in a small bowl, mix all the ingredients mentioned above and stir. pour this mixture over the chicken and marinade the chicken for 30 minutes to 2 hours. 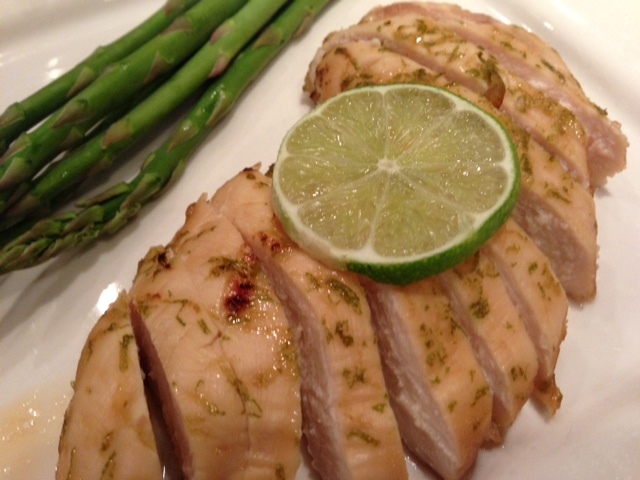 Remove the chicken breasts from the bag and place them inside the round mold or on a flexipan and cook them for 13-15 minutes at 400. If using a regular pan, cook your chicken for 20 minutes. remove the chicken from the oven and let it rest for a few minutes before cutting it. 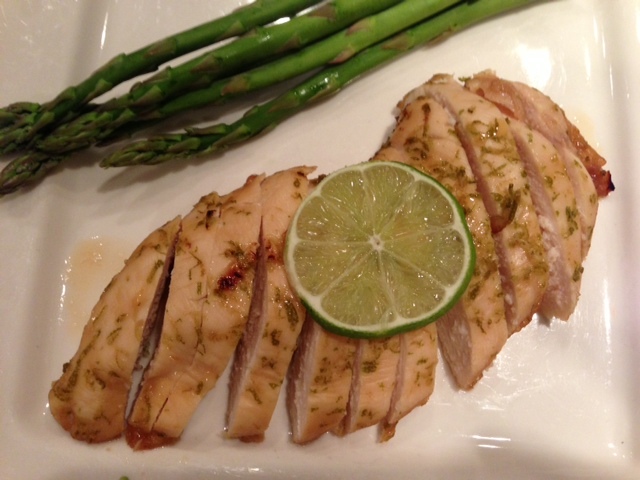 serve the chicken with roasted or steamed asparagus. Et voila!! !